agriculture: About 80% of the resident population are engaged in subsistence agriculture; roughly 20% of the formal wage earners (about 200,000) work (mainly males) in South Africa, 20% of the workers (mainly females) are in the apparel industry in Lesotho, and 20% are employed by the Government of Lesotho. The others are employed in services and other manufacturing (2008). 45% including hidden unemployment (2002). Lesotho is geographically surrounded by South Africa and economically integrated with it as well. The economy of Lesotho is based on agriculture, livestock, manufacturing, mining, and depends heavily on inflows of workers’ remittances and receipts from the Southern African Customs Union (SACU). The majority of households subsist on farming. The formal sector employment consist of mainly the female workers in the apparel sector, the male migrant labor, primarily miners in South Africa for 3 to 9 months and employment in the Government of Lesotho (GOL) . The western lowlands form the main agricultural zone. Almost 50% of the population earn income through informal crop cultivation or animal husbandry with nearly two-thirds of the country's income coming from the agricultural sector. Lesotho has taken advantage of the African Growth and Opportunity Act (AGOA) to become the largest exporter of garments to the US from sub-Saharan Africa. American Brands and retailers sourcing from Lesotho include: Foot Locker, Gap, Gloria Vanderbilt, JCPenny, Levi Strauss, Saks, Sears, Timberland and Wal-Mart. In mid-2004 its employment reached over 50,000 mainly female workers, marking the first time that manufacturing sector workers outnumbered government employees. In 2008 it exported 487 million dollars mainly to the U.S.A. Since 2004 employment in the sector was somehow reduced to about 45,000, in mid-2011, due to intense international competition in the garment sector. It was the largest formal sector employer in Lesotho in 2011. The sector initiated a major program to fight HIV/AIDS called Apparel Lesotho Alliance to Fight AIDS (ALAFA). It is an industry-wide program providing prevention and treatment for the workers. Lesotho, is a member of the Southern African Customs Union (SACU) in which tariffs have been eliminated on the trade of goods between other member countries, which also include Botswana, Namibia, South Africa, and Swaziland. Lesotho, Swaziland, Namibia, and South Africa also form a common currency and exchange control area known as the Rand Monetary Area that uses the South African rand as the common currency. In 1980, Lesotho introduced its own currency, the loti (plural: maloti). One hundred lisente equal one loti. The Loti is at par with the rand. Until the political insecurity in September 1998, Lesotho's economy had grown steadily since 1992. The riots, however, destroyed nearly 80% of commercial infrastructure in Maseru and two other major towns in the country, having a disastrous effect on the country's economy. Nonetheless, the country has completed several IMF Structural Adjustment Programs, and inflation declined substantially over the course of the 1990s. Lesotho's trade deficit, however, is quite large, with exports representing only a small fraction of imports. The global economic crisis hit the Lesotho economy hard through loss of textile exports and jobs in the sector due largely to the economic slowdown in the United States which is a major export destination, reduced diamond mining and exports, including weak prices for diamonds; drop in SACU revenues due to the economic slowdown in the South African economy, and reduction in worker remittances due to weakening of the South African economy and contraction of the mining sector and related job losses in South Africa. In 2009, GDP growth slowed to 0.9 percent. Lesotho’s progress in moving from a predominantly subsistence-oriented economy to a lower middle income, diversified economy exporting natural resources and manufacturing goods has brought higher, more secure incomes to a significant portion of the population. The percentage of the population living below USD PPP US$1.25/day fell from 48 percent to 44 percent between 1995 and 2003. The country is still among the "Low Human Development" countries (rank 155 of 192) as classified by the UNDP, with 42.3 years of life expectancy at birth. However, adult literacy is very high - 82% and children under weight aged under 5 is only 20%. Lesotho has received economic aid from a variety of sources, including the United States, the World Bank, the United Kingdom, the European Union, and Germany. Lesotho has nearly 6,000 kilometers of unpaved and modern all-weather roads. There is a short rail line (freight) linking Lesotho with South Africa that is totally owned and operated by South Africa. Water and diamonds are Lesotho's only significant natural resources. Water is being extracted through the 30-year, multibillion-dollar Lesotho Highlands Water Project (LHWP), which was initiated in 1986. The LHWP is designed to capture, store, and transfer water from the Orange River system and send it to South Africa's Free State and greater Johannesburg area, which features a large concentration of South African industry, population and agriculture. At the completion of the project, Lesotho should be almost completely self-sufficient in the production of electricity and also gain income from the sale of electricity to South Africa. The World Bank, African Development Bank, European Investment Bank, and many other bilateral donors are financing the project. Diamonds are produced in Letšeng, Mothae, Liqhobong and Kao mines. The sector suffered a setback in 2008 as the result of the world recession but rebounded in 2010 and 2011. It is a major contributor to the exports of Lesotho. (PPP) 0.65 Bln. 1.01 Bln. 1.50 Bln. 2.10 Bln. 2.68 Bln. 3.47 Bln. 3.73 Bln. 4.02 Bln. 4.33 Bln. 4.50 Bln. 4.84 Bln. 5.27 Bln. 5.63 Bln. 5.85 Bln. 6.13 Bln. 6.35 Bln. 6.63 Bln. 6.96 Bln. ^ "World Bank forecast for Lesotho, June 2018 (p. 153)" (PDF). World Bank. Retrieved 11 September 2018. ^ "LESOTHO Sharing Growth by Reducing Inequality and Vulnerability: A Poverty, Gender, and Social Assessment" (PDF). World Bank. ^ "Ease of Doing Business in Lesotho". Doingbusiness.org. Retrieved 2017-11-23. ^ a b c "World bank Lesotho: Country Brief". Archived from the original on 2014-03-31. Retrieved 2012-03-03. ^ "CIA Lesotho Economy 2011". Retrieved 2012-03-03. ^ "Central Bank of Lesotho - Africa Growth and Opportunities Act (AGOA): Economic Impact and Future Prospects" (PDF). Archived from the original (PDF) on 2012-07-15. Retrieved 2012-02-04. ^ "Purchase for Africa: An appeal for American apparel buys". Archived from the original on 2009-11-01. Retrieved 2009-10-28. ^ "World Bank - IFC - Africa Can Compete! The Miracle of Tiny Lesotho—Sub-Saharan Africa's Largest Garment Exporter". Retrieved 2012-02-04. ^ "Apparel Lesotho Alliance to Fight AIDS (ALAFA)". Archived from the original on 2011-02-25. Retrieved 2012-02-04. ^ Human Development Report 2009. The United Nations. Retrieved 07 March 2012. ^ "Central Bank of Lesotho - QUARTERLY REVIEW - June 2011" (PDF). Archived from the original (PDF) on 2012-02-09. Retrieved 2012-03-06. ^ "Report for Selected Countries and Subjects". Retrieved 2018-09-13. Since gaining independence, Botswana has been one of the world's fastest growing economies, averaging about 5% per annum over the past decade. Growth in private sector employment averaged about 10% per annum during the first 30 years of the country's independence. After a period of stagnation at the turn of the 21st century, the economy of Botswana resumed registering strong levels of growth, with GDP growth exceeding 6-7% targets. Botswana has been praised by the African Development Bank for sustaining one of the world's longest economic booms. Economic growth since the late 1960s has been on par with some of Asia's largest economies. The government has consistently maintained budget surpluses and has extensive foreign-exchange reserves. The Central African Republic (CAR) is classified as one of the world's least developed countries, with an estimated annual per capita income of $547 PPP (2014). Kenya's economy is market-based with a few state-owned infrastructure enterprises and maintains a liberalised external trade system. The country is generally perceived as Eastern Africa's hub for Financial, Communication and Transportation services. Major industries include: agriculture, forestry and fishing, mining and minerals, industrial manufacturing, energy, tourism and financial services. As of 2019 estimates, Kenya had a GDP of $98.264 billion making it the 65th largest economy in the world. Per capita GDP was estimated at $1,991. Lesotho, officially the Kingdom of Lesotho, is an enclaved country–the only one in the world outside of the Italian peninsula–within the border of South Africa. It is just over 30,000 km2 (11,583 sq mi) in size and has a population of around 2 million. Its capital and largest city is Maseru. The economy of South Africa is the second largest in Africa, after Nigeria. It is one of most industrialized countries in Africa. South Africa is an upper-middle-income economy by the World Bank – one of only four such countries in Africa. Since 1996, at the end of over twelve years of international sanctions, South Africa's Gross Domestic Product almost tripled to peak at $400 billion in 2011, but has since declined to roughly $295 billion in both 2016 and 2017. In the same period, foreign exchange reserves increased from $3 billion to nearly $50 billion creating a diversified economy with a growing and sizable middle class, within two decades of ending apartheid. South African state owned enterprises play a significant role in the country's economy with the government owning a share in around 700 SOEs involved in a wide array of important industries. In 2016 the top five challenges to doing business in the country were inefficient government bureaucracy, restrictive labour regulations, a shortage of skilled workers, political instability, and corruption, whilst the country's strong banking sector was rated as a strongly positive feature of the economy. The nation is amongst the G-20, and is the only African member of the group. 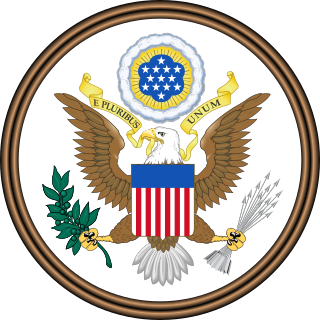 The African Growth and Opportunity Act, or AGOA is a piece of legislation that was approved by the U.S. Congress in May 2000. The purpose of this legislation is to assist the economies of sub-Saharan Africa and to improve economic relations between the United States and the region. After completing its initial 15-year period of validity, the AGOA legislation was extended on 29 June 2015 by a further 10 years, to 2025. The Common Monetary Area (CMA) links South Africa, Namibia, Lesotho and Swaziland into a monetary union. It is allied to the Southern African Customs Union (SACU). The Maloti Mountains are a mountain range of the highlands of the Kingdom of Lesotho. They extend for about 100 km into the Free State. The Maloti Range is part of the Drakensberg system that includes ranges across large areas of South Africa. “Maloti” is also the plural for Loti, the currency of the Kingdom of Lesotho. The range forms the northern portion of the boundary between the Butha-Buthe District in Lesotho and South Africa’s Free State. Eswatini is a sovereign state in Southern Africa. Eswatini is a developing country with a small economy. Its GDP per capita of $9,714 means it is classified as a country with a lower-middle income. As a member of the Southern African Customs Union (SACU) and Common Market for Eastern and Southern Africa (COMESA), its main local trading partner is South Africa. Eswatini's currency, the lilangeni, is pegged to the South African rand. Eswatini's major overseas trading partners are the United States and the European Union. The majority of the country's employment is provided by its agricultural and manufacturing sectors. Eswatini is a member of the Southern African Development Community (SADC), the African Union, the Commonwealth of Nations and the United Nations. Since the end of apartheid foreign trade in South Africa has increased, following the lifting of several sanctions and boycotts which were imposed as a means of ending apartheid.